Preciously talented, friend of Shostakovich, pianist and conductor, Benjamin Britten is one of the most emblematic figures of English music. Here are 10 (little) things you (perhaps) do not know about the composer of the War Requiem, Peter Grimes, and the Young Person's Guide to the Orchestra. "A taste for bad taste, a simplicity founded in ignorance, immaturity that fancies itself clear minded, and a lack of technical capacity". These are the words used by philosopher and musicologist Theodor Adorno to describe the music of Benjamin Britten (1913-1976). Others on the contrary, discerned a great depth, such as Leonard Bernstein, according to whom "if you really listen to (his music), if you really hear it, you become aware of something very dark". As much due to his life choices as to his musical orientation, Britten was not always well-received. Here are 10 (little) facts that reveal a complex character. At the age of seven, Benjamin Britten received his first piano lessons, encouraged by his mother. Herself passionate about music, she regularly organised soirées to which she invited various artists. The young Britten discovered composition at an early age, inventing themes that he would later use in his Simple Symphony, a small masterpiece considered by its composer as a "sin of youth". Upon hearing Frank Bridge's symphonic suite The Sea, the 11 year old boy was profoundly moved. The concert revealed to him his profession: he would become a composer! Britten began studying composition with Frank Bridge himself, before joining the ranks of the very prestigious Royal College of Music of London. Despite the institution's reputation, the young musician was overall unenthused, disappointed by the quality of the teaching it provided. So as to complete his training, Britten would regularly attend concerts of the Proms series, during which he discovered the works of Gustav Mahler, Igor Stravinsky, and Arnold Schoenberg. In 1968, Dmitri Shostakovich dedicated his Symphony no.14 to Britten, who in turn dedicated his opera The Prodigal Son to the Russian composer. This mutual dedication was a testament of a friendship of already eight years. Despite the tardy encounter between both composers (Britten was already 57 years old), the latter was thoroughly influenced since his childhood by the Russian master, a man with whom he later shared a taste not only for sarcasm and parody, but also a pessimistic outlook on humanity. Despite this close friendship, the music of Shostakovich is not the only one to hold an influence over Britten. The composer was also fascinated by his illustrious predecessor Henry Purcell, whom Britten revered as an absolute master, and Gustav Mahler, in particular his exacerbated lyricism and sombre atmospheres. Britten even admired oriental music after discovering the native music of Bali and Japan during a trip in 1956. One figure remains ever-present in the works of Benjamin Britten: the child. 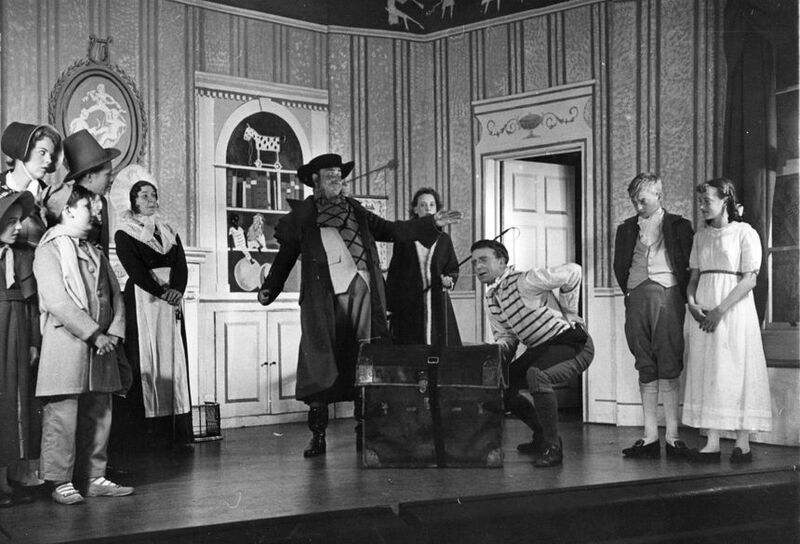 Though often misunderstood and mistreated in his operas, such as Peter Grimes, Billy Bud, The Turn of the Screw, Death in Venise, the child is also on occasion the target audience, (The Young Person's Guide to the Orchestra), and even at times the principal role, such as in Let’s Make an Opera, Noyes Fludde, Saint Nicolas, and Children’s Crusade. The composer's choices were not always understood or accepted by all, and in 1949 his opera for children Let’s Make an Opera estranged Britten from many contemporary composers and critics, unable to understand his willingness to "lower" himself to such kinds of music. 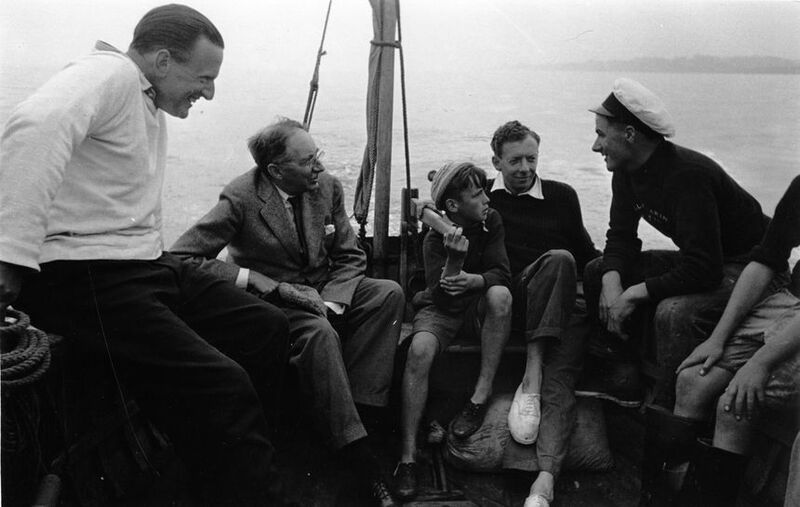 What's more, Britten's fascination with the theme of youth raised many questions regarding his relationship with young boys. According to his biographers, he displayed a strong, yet strictly platonic, affection for several young adolescents. In England during the 1930s, a country heavily marked at the time by puritanism, the choice by a renowned composer to publicly display his homosexuality was a particularly bold one. However, Britten sought above all to show that, despite the differences separating him from his audience, his music was universally accessible. In 1939, shortly before the outbreak of the Second World War, Britten and Pears fled their country and headed for the United States, where they stayed for three years. A strong anti-military pacifist, Britten was labeled a conscientious objector upon his return to Great Britain. His quest for peace inspired several of his works, notably the War Requiem, first performed in 1962 during the inauguration of the refurbished Coventry cathedral, destroyed during the war. Aside from the three years spent in the United States from 1939 to 1942, Benjamin Britten never left his native region of Suffolk, in the east of England. Born in the port town of Lowestoft, he later moved in with Peter Pears in Aldeburgh, a coastal town in which he would remain for the rest of his life. This proximity with the maritime world would eventually make itself felt in many of his works. Britten’s most famous work, Peter Grimes (1945), is set in The Borough, a fishing village on the eastern coast of England, while Billy Budd (1951), opera named after the eponymous novel by Herman Melville, features a fisherman as its principal character. With no less than 15 works for the stage, and 35 song cycles and sacred cantatas, Britten unquestionably enjoyed writing for the voice, fascinated by its ability to convey poetry. The words were of the utmost importance for the composer, taking great care when choosing his texts. Though far from ostentatiously virtuosic, Britten’s vocal works are nonetheless challenging works to sing since the composer sought to not to highlight the voice itself but rather use it as a tool to express the darkest thoughts of his tormented characters. “I had to work quickly, to force myself to work when I didn’t want to […].I had to write scores not for large orchestras but for six or seven instruments, and to make these instruments make all the effects that each film demanded.” (1936). Britten kept in mind this particular method of composition, using it later in life when he founded the English Opera Group in 1946, an ensemble made up of a small group of singers and musicians with few means of productions. As can be heard in various recordings, Britten was an excellent pianist, and the instrument is present in many of his works (including chamber music, song cycles, orchestral music, and operas). 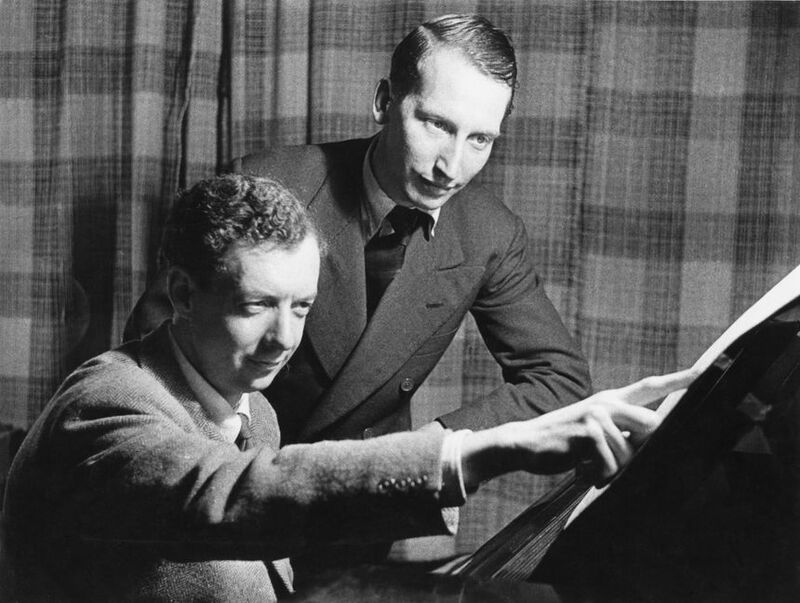 However, on its own Britten considered the piano cold and lifeless, and wrote very few works for the instrument alone: 5 waltzes, early works written during 1923 and 1925, the Holiday Diary (1934), and the Sonatina romantica (1940). “He was the first British composer to capture and hold the attention of musicians and their audiences the world over, as well as at home” (The Times, 6 December 1976). Though Britten’s musical choices were not always unanimously well-received, his innovative voice was nonetheless widely acclaimed and officially recognised on several occasions. He received several distinctions, including the “Companion of Honour” award in 1952, the Order of Merit in 1965 and the Gold Medal from the Royal Philharmonic Society in 1961. He was even named Baron of Alderburgh, the first and only composer to carry such a title. 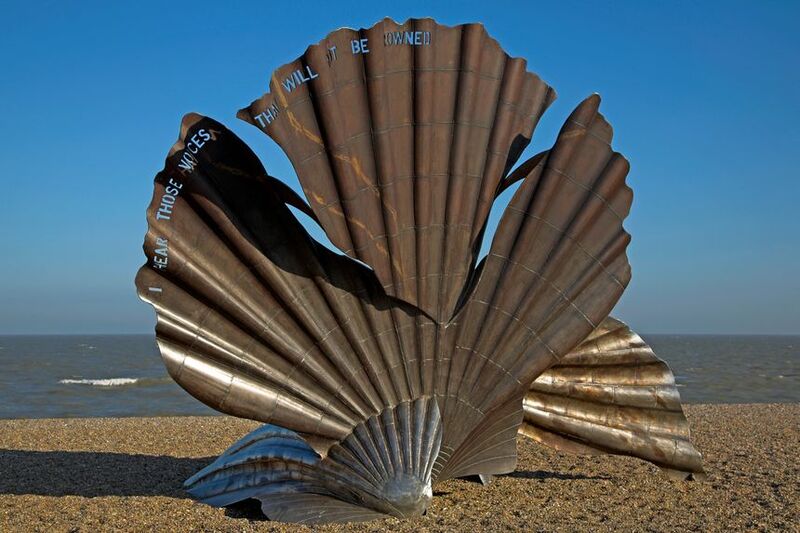 More recently in 2003, the village of Aldeburgh, lifelong home for Britten and his partner Peter Pears, paid homage to the composer with the inauguration of a sculpture in his honour. Made entirely of steel, four metres tall and in the shape of a scallop shell, the aptly-named Scallop sculpture carries upon it a quote from Peter Grimes: “I hear those voices that will not be drowned”. Humphrey Carpenter, Benjamin Britten, A Biography, London, Faber and Faber, 1992. Xavier De Gaulle, Benjamin Britten ou l’impossible équation, Paris, Actes Sud, 1996. Peter Evans, The Music of Benjamin Britten, Oxford, Clarendon Press, 1996. Jean-Paul Matot, « Art, créateurs et passion. Quelques variations sur l’amour des enfants », Cahiers de psychologie clinique, n° 19, 2002, p. 119-151. Tony Palmer, Benjamin Britten, A Time There Was…, Isolde Films, 2008.